The opening Grand Slam tournament of 2017 will once against take place in Melbourne with the Australian Open where those who really put the work in during the off-season get rewarded in scorching-hot conditions in the Australian city. Andy Murray starts the New Year as the world number one for the first time in his career. The British player had a superb campaign in 2016 where he won Wimbledon and the gold medal in Rio at the Olympics. He also reached the final of the Australian Open and French Open where he was beaten on both occasions by Novak Djokovic. Murray sealed his number one spot in the world rankings at the end of this year with his first success in the ATP World Tour Finals in London. He defeated Djokovic 6-3, 6-4 in an impressive performance in the final event of the calendar year. At 13/8 in the outright market for the 2017 Australian Open, Murray looks to be the best bet in the men’s draw. He is also one of the tips from oddschecker in their 2017 New Year accumulator as they think the world number one will make a flying start to the campaign. 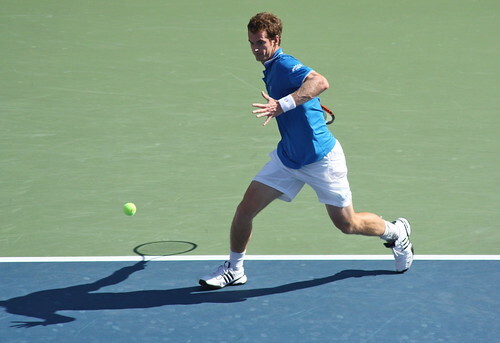 Murray has been to the final of the Australian Open more often than any other Grand Slam. Sadly for the Brit, he has been beaten in all five of those finals. The fact he has been runner-up on five occasions should give backers of the world number one confidence though as it clearly suggests he is always in great shape for the opening major of the year. During the off-season, Murray has been training with his team in Miami. He missed the ceremony for the 2016 BBC Sports Personality of the Year in Birmingham in order not to break his training camp. The British player is expected to make his opening appearance of 2017 I the Mubadala World Tennis Championship which will work as ideal preparation for Melbourne. The biggest threat to Murray will of course be Djokovic again. It is difficult to predict what kind of form the defending champion will return to next season but on the evidence we have seen in recent months, Murray definitely has his number going into the 2017 Australian Open. Angelique Kerber goes into the women’s Australian Open next month as the defending champion as she defeated Serena Williams in the final in 2016 to claim her maiden Grand Slam title. That success in Melbourne last January really did kick-start a huge year for the German. She won her second Grand Slam title in New York when she beat Karolina Pliskova, while she was also runner-up at Wimbledon where Williams gained revenge for her defeat in the Australian Open. At the age of 28, Kerber is at the peak stage of her career so there is no reason as to why she can’t improve her Grand Slam tally in 2017. She is 4/1 to defend her title in Melbourne which is a generous price given how well she played last year. Kerber is now the number one ranked player in the women’s game. She was the runner-up at the WTA Championship finals in Singapore as Dominika Cibulkova beat her to the title on that occasion. There was also a silver medal in 2016 in Rio at the Olympics where the German lost in three sets to Puerto Rico’s Monica Puig. We could be set to see another big year from the world number one in 2017. Her confidence is sky high and she has been the most consistent player on the tour over the last 12 months. Serena Williams tops the outright market for the women’s Australian Open at 7/4 which is a short price given she has only won this tournament once in the last six years. There is no question if Williams brings her top game, she will be difficult to beat, however, Kerber no longer needs to fear the American as she has proven she has what it takes to beat the 22-time Grand Slam winner.